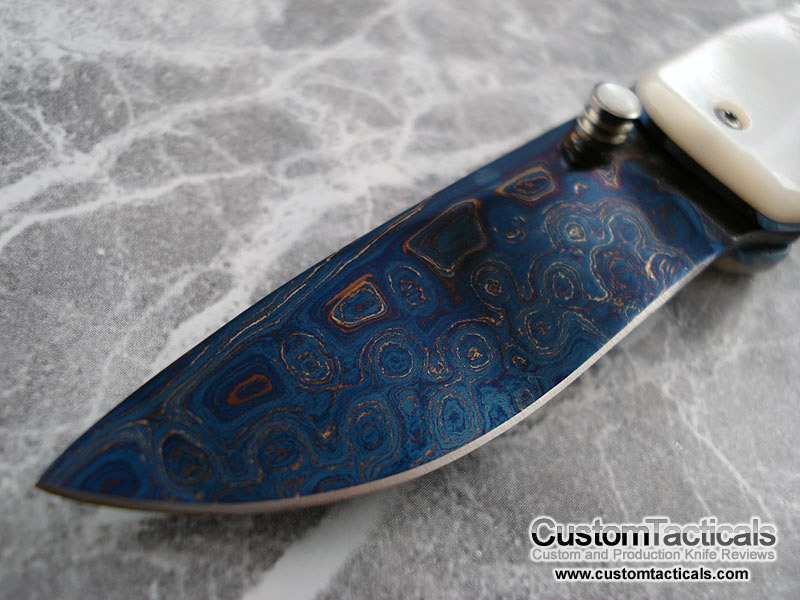 Mike Irie has been making custom knives full-time since 1991 and is from Colorado Springs, USA. 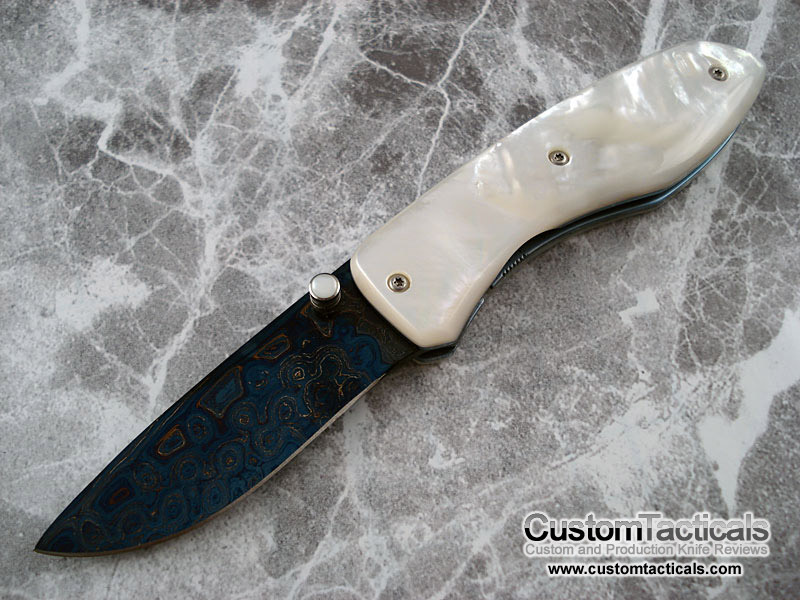 I’d been eyeing Mike Irie’s stuff for quite a while before I saw this little Pearl gent’s knife and had to have it. 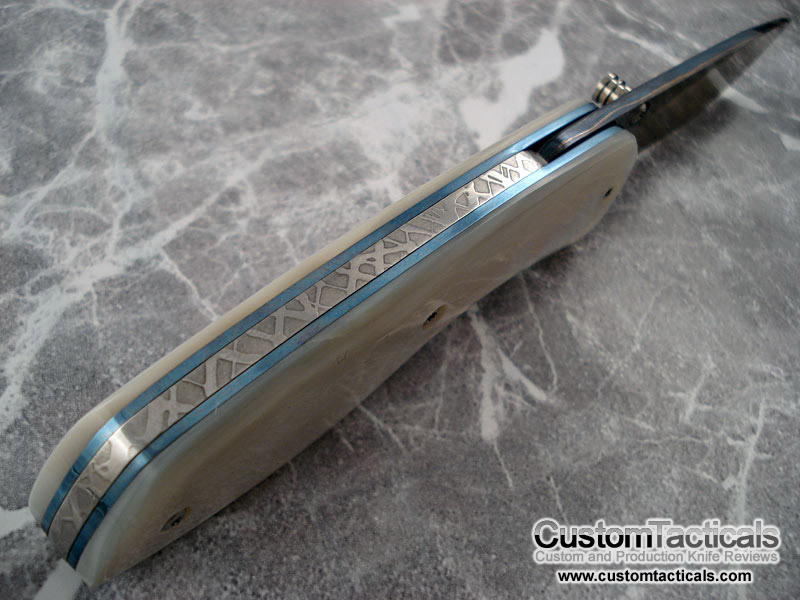 The price was good, especially for a Mother or Pearl and Damascus folder from a recognized maker. I just couldn’t pass it up! Mike Irie does very nice work and this folder is a good example of it. He’s probably more famous for his fixed blades, however.